Just like Phideaux, The Tangent are one of those bands that do not need to be introduced to prog fans – unless they are the kind that adamantly refuses to listen to anything produced later than 1989. In spite of their frequent line-up changes, the fiercely independent outfit, based in an artistically fertile area like the north of England, has always been much more than just a vehicle for the undisputed talent of Andy Tillison – keyboardist, singer and songwriter with a a passion for the making of progressive rock with a keen edge of social and political awareness. Straddling the line between vintage and modernity, The Tangent have established a reputation for thought-provoking music with a healthy dose of dry British wit, and the kind of technical brilliance that is put at the service of the music rather than the other way around. 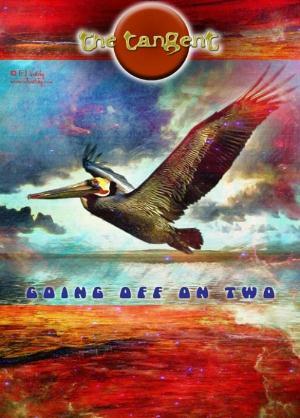 As the title indicates, Going Off on Two is the logical follow-up to the band’s first live album and DVD, released in 2007 and titled Going Off on One – though the line-up has undergone yet another overhaul (and, at the time of writing, has further changed, with drummer Nick Rickwood replacing Tony Latham). However, while the 2007 set was based on actual concerts, for Going Off on Two The Tangent have chosen a bold, unusual format that may well set a trend within the prog scene. Making full use of a live-in-the studio situation, the band are playing, to all intents and purposes, before a worldwide audience: the numerous fans from over 40 countries that have helped the DVD happen through their financial support. Recorded over a period of five days in December 2010 in a converted abattoir in the town of Stockport (on the outskirts of Manchester), it was inspired by popular Seventies TV programmes such as the legendary “The Old Grey Whistle Test”, whose performances often resulted in much sought-after recordings. The “gig” brings together the best of two worlds, the immediacy of a live performance and the relative comfort of the studio surroundings. The polar opposite of the shallow, image-driven acts that command the attention of modern audiences, the band members are five refreshingly ordinary men of various ages that look as if they are genuinely having fun, in spite of the high level of complexity of their music – they are even shown dancing outside the studio in the end credits of the DVD. Dressed in comfortable, everyday clothes, obviously at ease with each other, they certainly do not deserve the vicious jibes flung at them by some alleged music journalist with a shockingly unprofessional attitude. Thankfully, progressive rock is not the sole prerogative of young, good-looking hipsters, and prog artists have every right to look like “accountants and sheep farmers” instead of posing as something they are not. The 90-minute DVD, filmed by experienced documentary director Paul Brow, comes strikingly packaged with stunning cover artwork by renowned artist Ed Unitsky (a longtime collaborator of the band). While it contains few extras, they will definitely be of interest to fans of the band, or even to those who are getting acquainted with them. The images are crisp and clean, and the excellent photo gallery depicts the band members in various, often humorous situations, emphasizing their endearingly down-to-earth attitude. Though mostly focused on technical matters, the interviews are liberally laced with humour, and can be enjoyed even by those who (like myself) are not practising musicians. I especially liked the part in which Tillison explains his use of computers to generate all sorts of keyboard sounds, pointing out that Seventies icons like Emerson and Wakeman were ground-breaking because they made use of cutting-edge technology. So much for the current obsession with anything analog! The 8 tracks chosen for this landmark performance span all of The Tangent’s almost 10-year career, bearing witness to the band’s remarkable skill in quality control. Indeed, The Tangent bridge the gap between classic prog of the symphonic persuasion and the elegant jazz-rock of the Canterbury scene, with a sound that is at the same time sleek and intricate, melodic and edgy, with plenty of wit thrown into soften the blow of the often barbed social commentary. While Andy Tillison’s voice may be a bit of an acquired taste, and it is definitely not you would call conventionally “beautiful”, its wry, understated tone blends surprising well with the music. And then, in spite of the obvious collective talent involved, The Tangent are not interested in bludgeoning the listener over the head with their technical prowess, even if their obvious dedication to their craft is highlighted in the brief interviews included in the Extras. While the current members of the band may not be as well-known as some of its former members (which, especially in the early days of the band’s activity, led critics to label them as a “supergroup”), they are certainly no less talented. 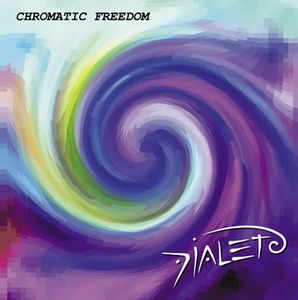 In particular, Tony “Funkytoe” Latham’s drumming is nothing short of stunning, and Jonathan Barrett’s fretless bass delivers the kind of fat, slinky lines that prog fans have come to treasure. The setlist offers a nicely balanced selection of material, bookended by two 20-minute epics dating from different stages of The Tangent’s career – “Where Are They Now?”, from 2009’s Down and Out in Paris and London, and “In Darkest Dreams” from their 2003 debut, The Music That Died Alone. 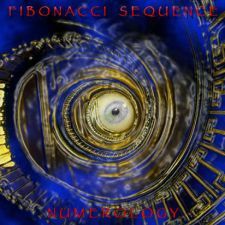 Two particularly tasty tidbits for the band’s fans appear in the shape of “The Mind’s Eye”, from the forthcoming album COMM (to be released in the fall of 2011), and Andy Tillison’s homage to German Seventies electro-prog masters Tangerine Dream, “After Phaedra” (which is only featured on the DVD). The former is a tense, edgy number driven by Tillison’s powerfully expressive keyboard work and fresh-faced new guitarist Luke Machin’s sharp yet fluid guitar; while the latter is accompanied by striking psychedelic visuals reminiscent of the Seventies, yet also amazingly modern.The occasional use of split, parallel frames (which in “Where Are They Now?” show idyllic views of England’s “green and pleasant land”) adds further interest to the “concert” footage. However the highlight of the DVD , in visual terms lies in the stunning images of Paris by night that are seamlessly integrated into the band’s performance of “Perdu Dans Paris” – which in the second half of the song, in order to complement the lyrical matter, turn into heart-wrenching shots of homeless people, in stark contrast with the beauty and allure of the Ville Lumière. The stripped-down setting – so unglamorous to trendy so-called journalists, but perfectly in character with the reality of things for most prog artists (as illustrated in my reviews of gigs at Baltimore’s Orion Studios) – sets off the band’s unassuming, yet dedicated attitude, the undeniable intricacy of the music tempered by humour and level-headedness. The members of The Tangent may not look like rockstars (as none of us thankfully do), but they obviously love every minute of what they do, and the very format of the DVD celebrates the nowadays indispensable synergy between artists and their followers. The Tangent represent a voice of strong integrity in today’s music world, proving to the sceptics that progressive rock in the 21st century is not merely a vehicle for dazzling instrumental performances and lyrical escapism, but can foster social awareness and create a genuine bond between providers and users of art. While quite a few people might consider the Central Asian republic of Uzbekistan little more than a backwater plagued by many of the same issues as most developing countries, very few would ever associate it with rock, let alone prog. However, the country, situated on the ancient Silk Road, is anything but irrelevant in terms of historical and cultural heritage, and has a surprisingly high literacy rate – higher than many Western countries. Though its contribution to progressive rock (like the majority of Asian countries with the exception of Japan and very few others) is certainly not large in terms of quantity, the few outfits hailing from Uzbekistan have attracted enough attention to put the country on the prog map, and none more effectively than Tashkent-based quintet From.uz. Formed in 2004 by guitarist Vitaly Popeloff and bassist/producer Andrew Mara-Novik, From.uz proudly declare their origins in their own name, with the dot added on occasion of the release of their third album, Seventh Story, in order to make the meaning “from Uzbekistan” even clearer. The band underwent a line-up change prior to the release of Seventh Story, with only Vitaly Popeloff and Al Khalmurzaev left from the line-up that had recorded their first two albums, and three new musicians joining the ranks. From.uz’s new configuration is the one featured on the aptly-titled Quartus Artifactus, a double CD/DVD set recorded live in June 2009. 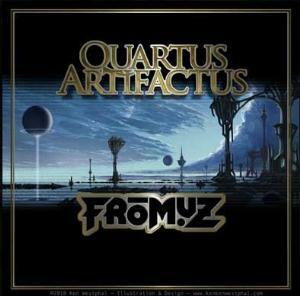 As the album’s subtitle points out, Quartus Artifactus contains “the best of From.uz in a progressive chamber style”, yhet there is definitely more to it than the usual live album/compilation format. The live setting seems to be the most natural for a band like From.uz, whose debut, Audio Diplomacy (2007), was a live recording – quite an unusual choice for an album of completely new material. Quartus Artifactus, on the other hand, contains mainly acoustic versions of material taken from the band’s three previous albums. Since practical issues make playing abroad rather difficult for them, the recourse to the DVD format is the band’s chosen way to bring their music out to their growing fanbase. Being signed to US-based label 10T Records has obviously helped them to gain a larger following than if they had kept within their borders, and their music possesses an undeniably exotic appeal. While many other outfits bring ethnic elements to their sound, From.uz are the real thing, bridging the East-West divide with a musical offer that brings together the great Russian classical tradition, centuries of Eastern folk music and the modernity of rock and jazz – as well as other, perhaps less obvious influences. The members of From.uz are very accomplished musicians, but thankfully they never give the impression of wanting to hit the listener over the head with their technical skill. While their music is undeniably quite complex, and requiring quite a bit of attention, the acoustic dimension lends additional warmth and depth to it, smoothing the occasionally hard edges of its electric counterpart. Furthermore, the accompanying DVD, even in its almost stark simplicity, reveals a genuine sense of enjoyment on the part of the musicians. While the quality of the images may not be as pristine as in other productions, watching the band perform injects new life into the material. Arranged in a semicircle, and seated most of the time, the band members come across as concentrated but never detached from the audience, and the intimate setting of the small theatre reinforces the ‘chamber’ definition mentioned in the album’s subtitle. The extra features allow us a look behind the scenes, showing the crew’s tireless work and the band members’ unassuming yet dedicated attitude. Running at abour 100 minutes, the 9 tracks featured on the set offer a well-rounded picture of the band’s output and general approach. As anyone already familiar with From.uz will know, their compositions tend to be rather long, with only the short guitar/vocal interlude “Perfect Place” and “Familiarization Results” clocking in at below 9 minutes. The music’s inherent complexity benefits from the semi-acoustic rendition immensely, retaining its head-spinning intricacy while acquiring more than a hint of endearing softness. Guitarist Vitaly Popeloff’s is a delight to watch (or even just to hear), his stunningly accomplished acoustic playing, together with Ali Izmailov’s spectacular drumming, the engine behind From.uz’s sound. While he is very much in evidence throughout the set, Popeloff’s showcase spot occurs in the first half of “Desert Circle”, where he runs the gamut of his instrument’s expressive possibilities, ranging from slow, meditative tones to jazzier, Latin-tinged licks. He is also a more than capable vocalist, as proved by his performance on the aforementioned “Perfect Place” and “Parallels”. Opener “Stone Salad” (from Overlook) introduces the listener to the lush tapestry of From.uz’s music, with its jazz-rock foundation overlaid by many different influences, including the expected Eastern ones. The earlier material from the Audio Diplomacy album (“Familiarization Results”, “Harry Heller Theatre” and “Babylon Dreams”) possesses a more distinct classical flavour, though the latter number takes a sharper, jazzy route. The monumental “Parallels” (taken from Seventh Story, like “Perfect Place”, “Desert Circle” and “Influence of Time”,), at 20 minutes the longest item on the album, blends the symphonic, the atmospheric and the jazzy component of the band’s inspiration in a richly complex, yet deeply emotional creation; while “Crashmind” (also from Overlook) is a dynamic, fusiony number based on variations on a theme that runs through the whole composition. Igor Elizov and Al Khalmurzaev’s keyboards add rich, subtly shaded layers of sound, and Sur’at Kasimov’s fretless bass acts as a discreet but reliable driving force. The splendid artwork, courtesy of the band’s official artist and US manager, Ken Westphal, offers an added bonus to both newcomers and fans of the band. Westphal’s style, here rendered in gorgeous shades of blue, green and grey, is subtly reminiscent of Roger Dean, though more streamlined – the dreamlike quality of the inner gatefold image of water and sky tempered by a life-like touch. All in all, Quartus Artifactus provides a stunningly-packaged introduction to one of the best instrumental progressive rock bands on the current scene, and one that will hopefully get an opportunity to perform in the US in the near future.